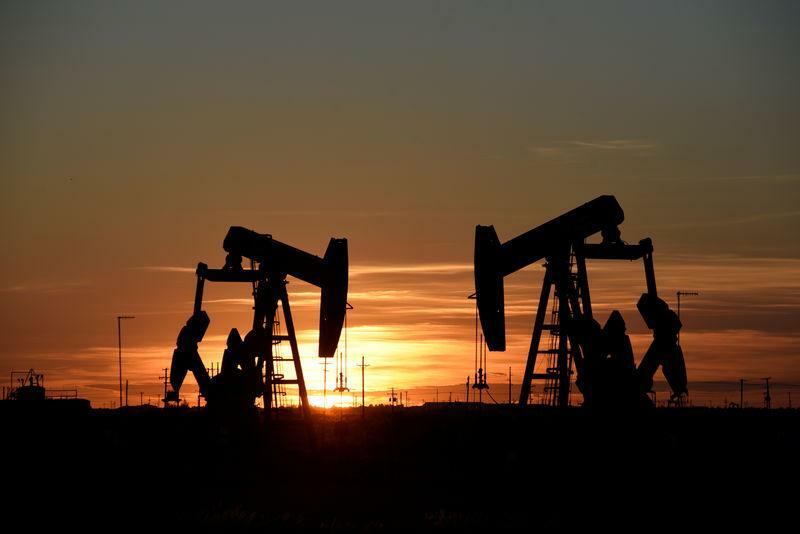 NEW YORK (Reuters) - Oil futures were little changed on Monday after paring earlier losses despite Saudi Arabia's pledge to raise crude production to a record high, two weeks before U.S. sanctions potentially choke off Iranian supplies. Brent (LCOc1) crude futures for December delivery rose 5 cents to settle at $79.83 a barrel. West Texas Intermediate (WTI) (CLc1) for November delivery also rose 5 cents to settle at $69.17 on its last day as the U.S. front-month. In intraday trade, WTI fell as low as $68.27, its lowest since Sept. 14. Several U.S. lawmakers, meanwhile, have suggested imposing sanctions on Saudi Arabia over the killing of journalist Jamal Khashoggi. The kingdom, the world's largest oil exporter, pledged to retaliate against any sanctions with "bigger measures." "The White House's dithering highlights the unwillingness of the Trump Administration to take any meaningful action against Riyadh, just a few weeks prior to the U.S. Iran sanctions coming into play," said Fiona Cincotta, senior market analyst at City Index by online trading services firm Gain Capital, in a note. "A veiled threat of using oil as a weapon is essentially tying U.S. hands. Investors are watching and waiting for the next chapter before positioning themselves accordingly," Cincotta said. U.S. sanctions on Iran's oil sector start on Nov. 4 and analysts believe up to 1.5 million bpd in supply could be at risk.